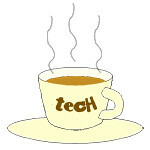 memory « Tech bytes for tea? SanDisk will be at SITEX 2012 at Hall 6, Booth 6B10 in the Singapore EXPO. Click to view or download SanDisk promotions for SITEX 2012. Purchase any High Performance (16GB and above) SanDisk product and stand a chance to win a notebook, tablet or camera. Check out the bundle promotions too. Hitachi Data Systems promises superior performance, capacity and reliability from the new flash module for demanding enterprise workloads. Hitachi Accelerated Flash storage for demanding enterprise workloads. The Hitachi Accelerated Flash storage features a new custom-designed rack-optimized form factor and new flash memory controller technology from Hitachi. These offer higher performance, lowest cost per bit, and greater capacity compared to conventional solid-state drives (SSDs) on the market today. Flash technology has become more pervasive in the data center over the past few years. However, its widespread adoption as a mainstream storage option has been hampered by high costs, limited endurance and sub-optimal write performance.